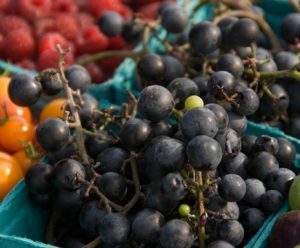 The Middlebury College Organic Farm has just harvested an over abundance (40 pounds) of Concord type grapes for juice or jam. Available at the farm. Email: jleshins@middlebury.edu. This entry was posted in Midd Blogosphere and tagged For Faculty, For Staff, MiddPoints on October 3, 2016 by Jay Leshinsky. This week interns at the Middlebury College Organic Farm will be selling vegetables and flowers at the farm from noon until 2:30 pm. This entry was posted in Midd Blogosphere and tagged For Faculty, For Staff on August 15, 2016 by Jay Leshinsky.